13TH ANNUAL STB DRAW DOWN! Saturday, April 27, 2019 @ 6:30 PM Click to purchase tickets! Meet Our Student Council Representatives! 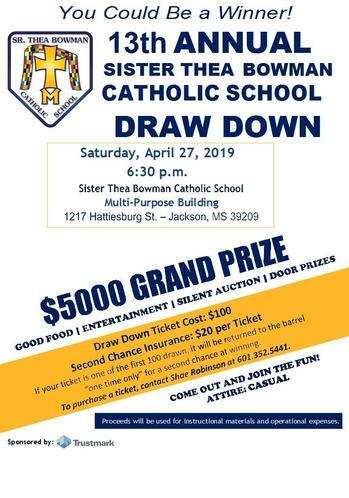 The mission of Sister Thea Bowman Catholic School is to provide a loving, Christ-centered environment with a quality academic education rooted in the development of character, compassion and Gospel values.